CRESTLINE — For 12 years, Bill Fisher has led the Crawford Park District. This week, he hands over the reins to the naturalist he hired a few months after he took over the position more than a decade ago. Fisher will retire Wednesday, and on Thursday, Josh Dyer will take over the position. Some of Fisher’s accomplishments during his time as director include the acquisition of the Daughmer Savannah for the park district and the creation of the Kid’s Learning Tree inside the Nature Center at Lowe-Volk Park. “Passing the levy was extremely important after funding for the district was severely cut by the state,” Fisher said. Fisher, who took the position at the park district after retiring from his position as a biology and human anatomy and physiology teacher at Bucyrus City Schools, said Dyer shares the same values as he does about the environment. Dyer said he has enjoyed spending the last 12 years with Fisher. Fisher not only credits Dyer for the success of the park district but all the staff members and the many volunteers who help throughout the year. “We could not do everything we do and offer all of the programming that we have available without the help of our staff and volunteers,” Fisher said. 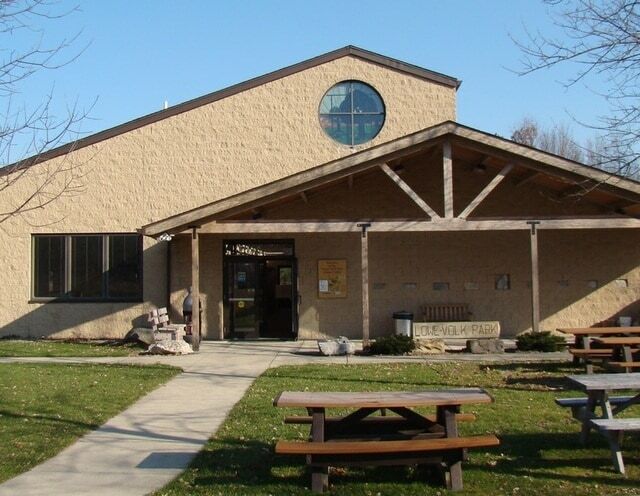 A retirement party open house is Saturday, Nov. 3, from 11 a.m. to 1 p.m. at the Nature Center at Lowe Volk Park, 2401 State Route 598, Crestline. The public is invited to attend. For more information about the park district and upcoming events, visit the park district website, find the district on Facebook or call 419-683-9000.